Legacy of the Dragonborn is a DLC sized expansion which centres around your own personal museum in Solitude. Offering dozens of new fully voice acted quests, hundreds of new items, a completely new guild and MUCH more. as this mod has extensive contributions from other modders it would be best of you find the resource you wish to use, look for the author's name in my credit section, and contact them directly. As for the museum itself; feel free to create addon content that uses the museum as a master file, but DO NOT use content from this mod directly in your mod without making it dependent on this mod. If you would like advice on how to make an addon for this mod see the addon article in the article tab, and just ask if you have any questions. - UPDATED "Project AHO" patch. - UPDATED "Tools of Kagrenac" patch. - UPDATED "Morrowloot Ultimate" patch. - UPDATED "Moon and Star" patch. - UPDATED "Open Cities" patch. - Updated "Cutting Room Floor" patch. - UPDATED "Complete Alchemy & Cooking Overhaul" patch. - ADDED "Books Books Books" patch. - ADDED "Dignified Elders" patch. - ADDED "Radiant and Unique Potions and Poisons" patch. Edited the Patch Installer so you cannot select a patch for a mod you don't have in your load order. Updated the Dawnguard and Clan Volkihar Epilogues/Legendary Skyrim Crossbows COMBO patch in the MISC file section. - [BUGFIX] Fixed a gap in a wall of the Vigilant display room. - [BUGFIX] Fixed a gap in a wall of the Hall of Secrets. - [BUGFIX] Fixed a couple Temper recipes. - [BUGFIX] Fixed invalid characters in 8 books. - [BUGFIX] Fixed Madras' Bandoliers not showing. - [BUGFIX] Edited some armor records that had invalid Biped entries or Race entries. - [BUGFIX] A container in Karagas' Tower was missing a persistent flag. - [BUGFIX] Fixed The Ancient Shrouded Cowl for Argonians and Khajiit. - [BUGFIX] Fixed incorrect enable state on a part of the Airship ladder in Falkreath. - [BUGFIX] Added MASItemsSUB formlist to the Display Prepstation Script that was preventing the Book from M&S from Auto-sorting. - [BUGFIX] Corrected the activator for two items from SUT in the Hall of Oddities. - [BUGFIX] Adjusted the recipes for the Riften Special Brews. - [BUGFIX] Fixed the damage of Cyrus' Saber replica. - [BUGFIX] Added missing property to a couple of the Dragon Priest mask replicas. - [BUGFIX] Fixed Picky's Beacon from sending you to Deepholme if you pressed cancel on the last page of the message pop-up. - [BUGFIX] The replica recipes for the "Active Dwemer Keys" now become available after you have opened the doors associated with them. - [BUGFIX] Removed unused activator records from the .ESM. - [BUGFIX] Corrected a couple scripts for CACO compatibility. - [BUGFIX] A few other minor, non-noteworthey fixes and changes. - [NEW] Added Replica recipes for select useful Explorer's Relics. - [NEW] Added about a dozen more Replica recipes for some more relics. - [OPTIMIZE] Removed unused activator records from the .ESM. - [OPTIMIZE] Used new feature of xEdit Experimental to cull Navmesh ITM's. - UPDATED "Sands of Time" patch. - UPDATED "Narrative Loot" Patch. - UPDATED "New Treasure Hunt" patch. - UPDATED "Beyond Reach" patch. - UPDATED "Skyrim Immersive Creatures" patch. - ADDED "Ars Metallica" Patch. - ADDED "SkyTEST - Realistic Animals and Predators" Patch. - ADDED "Complete Alchemy & Cooking Overhaul (CACO)" Patch. - ADDED "Keep It Clean" Patch. - REMOVED "Nexus Skyrim Overhaul" patch. - REMOVED "Nexus Skyrim Overhaul - Magic" patch. Repaired an issue in the Wrye Installer wizard preventing the "Men of Winter" patch from being auto-detected correctly. - [BUGFIX] Fixed the armor stand and case for an item from "Artifacts of Skyrim" that was erroneously disabled. - [BUGFIX] Fixed 2 toggles in the MCM for display management that wouldn't remain activated when selected. - [BUGFIX] Fixed the scavenger perk giving Falmer corpses Chaurus items that it shouldn't be. - [BUGFIX] Added condition to allow Savior's Hide replica to be crafted if choosing Hircine's Ring. - [BUGFIX] The prompt from the artificer perk will now only appear if you have a filled greater soul gem in your inventory. - [BUGFIX] You can no longer access the Clutter Chest remotely. It has been replaced by the Building Supplies container. - [BUGFIX] Fixed some grammar and punctuation. 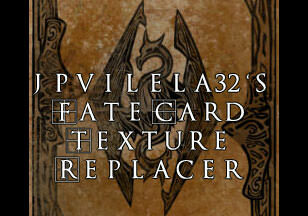 - UPDATED "Audio Overhaul for Skyrim" patch. - UPDATED "Skyrim Underground" patch. - UPDATED "Zim's Immersive Artifacts" patch. - UPDATED "Immersive Weapons" patch. - UPDATED "Immersive Sound Compendium" patch. - UPDATED "Tamrielic Culture" patch. - UPDATED "Unique Loot" patch. - UPDATED "Realistic Needs and Diseases" patch. - UPDATED "Skyrim Alchemy and Food Overhaul" patch. - ADDED "Immersive Horses" patch. 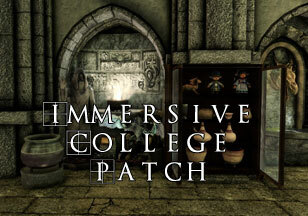 - ADDED "Immersive Needs" patch. 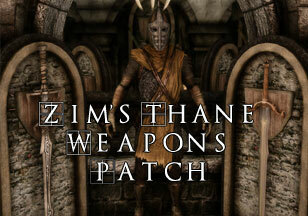 - ADDED "Improved Daedric Artifacts" patch. - ADDED "Legendary Artifacts" patch. - ADDED "Narrative Loot" Patch. - ADDED "New Treasure Hunt" Patch. - ADDED "SkyToxin - Realistic Dangerous Poison" Patch. Made some other un-noteworthy changes to others, so be sure to update ALL your patches! Be sure to rebuild your bashed patches and/or merges if applicable. - [BUGFIX] Removed temper recipes for the Ancient Tongues Weapons that shouldn't have been there. - [BUGFIX] Fixed a gap in the wall in Fort Pale Pass. Posted as a HOTFIX in the UPDATES file section. - UPDATED "Immersive Jewelry" patch. - ADDED "Weapons Armor Clothing Clutter Fixes" patch to the FOMOD. Removed the Dawnguard and Clan Volkihar Epilogues and Legendary Skyrim Crossbows COMBO patch from the FOMOD. This will fix the individual mods from not auto-selecting for NMM users. It can now be found in the Miscellaneous file section. If you use both those mods, you NEED to use the combo patch and NOT the individual patches to allow them to work correctly together. - [BUGFIX] Removed displays for 3 items from "Artifacts of Skyrim" that don't actually appear in the game. - [BUGFIX] Fixed Borvi'rs Dagger from disappearing when unequipped. (Incorrect flag "Bound Weapon" enabled). - [BUGFIX] Added the "Essential" flag to Varicio the Collector to try and prevent him from randomly dying in certain rare conditions. - [BUGFIX] You now have the choice to either steal or craft a replacement hammer for Ongar. - [BUGFIX] Prevented the craftloot system from removing some ingestibles and potions that are quest items. - [BUGFIX] Added missing replica recipes for Weatherward Circle, Muiri's Ring, and Denstagmer's Ring. - [BUGFIX] Fixed Aetherial Crown Replica recipe not being available. You will now have the option to create all replicas regardless of choice. - [BUGFIX] Fixed Dwemeri Cutting Sphere from the "Wheels of Lull" mod not displaying correctly. - UPDATED " Daedric Realms - Volume I The Hunting Grounds " patch. - UPDATED "Royal Armory" patch. - ADDED "Enhanced Landscapes" patch to the FOMOD. - ADDED "Tools of Kagrenac" patch to the FOMOD. - [BUGFIX] Fixed braziers from ELFX - Exteriors appear floating outside the Museum when using Open Cities. - [BUGFIX] Fixed getting incorrect items when choosing "Robes" during Shattered Legacy. - [BUGFIX] Fixed Treads of Wulfharth's Magic Effect not showing up on the players active effects. - [BUGFIX] Removed wall blocking the "Secret" entrance into the Hall of Secrets. - [BUGFIX] Fixed missing Ancient Akaviri Shield Alternate Textures. - [BUGFIX] Fixed Some races faces clipping when wearing the Ancient Shrouded Cowl. - [BUGFIX] Fixed Daedric Lord Helms invisible neck issue (Meshes courtesy of opusGlass). - [BUGFIX] Fixed enchantment cost for Skullcrusher to allow 50 hits instead of 1 (for real this time). - [BUGFIX] Added missing replica recipes for Red Eagles Fury, Mhaznier and Blade of Sacrifice. - [BUGFIX] Fixed Pale Blade replica recipe. - [BUGFIX] Fixed detection of the newest version (4.0+) of Thane Weapons Reborn. - [BUGFIX] Fixed TWR Axe of Morthal activator. - [BUGFIX] Fixed Herebane Sorenshield's corpse from respawning items again (if not using Cutting Room Floor). - [BUGFIX] Fixed bad desk mesh in the safehouse master bedroom. - [BUGFIX] Fixed hole in the wall in the Library stairwell. - [BUGFIX] Fixed one of the Book Display Script's SKSE detection that was looking for the Legacy .esp instead of the .esm. - [BUGFIX] Fixed an error in the Cloaks display script only important if you use a ported version of Complete Crafting Overhaul Remade. - [BUGFIX] Corrected an issue in the MCM that resulted in duplicate Jewelry items listed from the Oblivion Artifacts Pack mod. - [BUGFIX] Fixed issue where the Printing Press was using the Clutter Chest instead of the Paper Supplies container from the library office. - [BUGFIX] Chests at the museum front door in the Haunted and Heist Instances of the Hall of Heroes now link back to the "real" chest. - [BUGFIX] Deano's Bottomless Pack and Merrian's Spyglass can no longer be disenchanted. - [BUGFIX] The Spoils of Adventure Display script's SKSE detection was looking for the Legacy .esp instead of .esm. - [BUGFIX] Fixed Black Ice and Frostwarden being displayed for each other by the autosorter. - [BUGFIX] Fixed "Salvager" perk from not staying selected when using the MCM menu for Arc Perk selection. - [BUGFIX] Fixed the script that controls adding and removing book sets from the library preventing a book from displaying manually. - [OPTIMIZE] Corrected a couple of typos. - [OPTIMIZE] Removed some unnecessary wild edits from the solstheim worldspace. - [OPTIMIZE] Cleaned up some scripts from causing harmless papyrus spam. - [NEW] Landscape Textures prevent Excavation camps at Windcaller Pass and Greenwall from being overgrown when using mods like Verdant. - Updated "Artifacts - The Ice Blade of the Monarch" patch. - Updated "Oblivion Artifacts Pack" patch. Fixed a patch description error in the fomod. - [BUGFIX] Fixed many inconsistencies with Replicas primarily with missing or incorrect keywords. - [BUGFIX] Removed enchantment from the Crusader's Shield Replica. - [BUGFIX] Fixed Tanning Rack position at Field Station 1. - [BUGFIX] Fixed enchantment cost for Skullcrusher to allow 50 hits instead of 1. - [BUGFIX] Removed floating shrubs in Pale Pass. - [BUGFIX] Fixed gap in floor by Library door during the "Night at the Museum" quest. - [BUGFIX] Fixed a display error in the MCM regarding the Armory Add-ons. - [BUGFIX] Fixed Wraithguard right glove partially missing. - [BUGFIX] Added missing Replica recipe for Necromancer's Dagger. - [BUGFIX] Corrected Fossil script checking for the .esp version of Legacy. - [OPTIMIZE] Wheels of Lull Quest display in Dragonborn Hall now appears at the completion of the quest "Deep Down". - [OPTIMIZE] Undeath Quest display in Dragonborn Hall becomes available once the quest "Scourg Barrow" is completed. - Updated "Beyond Skyrim - Bruma" patch. - Updated "Helgen Reborn" patch. - Updated "Holds - The City Overhaul" patch. - Updated "Notice Board" patch. - Updated "Path of the Revenant" patch. - ADDED "Opulent Outfits - All in One" patch to the FOMOD. - ADDED "Opulent Outfits - Replacer" patch to the FOMOD. - ADDED "Dynamic Dungeon Loot" patch to the FOMOD. - [BUGFIX] Fixed Spiced Wine and Ale kegs in the kitchen. - [BUGFIX] Turn iNeed support back on for water fountain in kitchen. - [BUGFIX] Fixed display activator for the Staff of Magnus so it can be removed. - [BUGFIX] Fixed display activator for the Frog Fossil so it can be manually placed. - [BUGFIX] Added Wall in Windhelm Hall of the Dead to ELFX self patcher. - [BUGFIX] Fixed Thane Weapons Reborn not being detected as installed in the MCM. - [BUGFIX] Fixed airship ladder parts without enabled parents in Dawnstar and Castle Volkihar. - [BUGFIX] Minor fix to the new Addon system to prevent a debug message from printing. v4.0 Main file was re-uploaded to remove the Bethesda Video file that was in there in error. You do not need to re-download it. v4.0.4 of the High Resolution Texture Pack just removed an unnecessary directory. You do not need to re-download it if you already have it. v4.0.4 of the patches just updated the Elemental Dragons patch. If you don't use that mod, you don't need to update the patches. - [BUGFIX] Corrected issue with Hotspring door. - [BUGFIX] Added missing enable state to an item from the Hotsprings upgrade. - [BUGFIX] Corrected Immersive Weapons MCM and patches detection. - [BUGFIX] Card of Mystics effect now matches description (previously offered 10% spell cost reduction instead of +10 to skill level). - [BUGFIX] Linked fake door in Solitude world to main door to prevent broken entry issues. - [BUGFIX] Renamed crusader relic display activators to match items. - [BUGFIX] Adjusted teleport marker outside Guildhouse to prevent player getting stuck. - [BUGFIX] Fixed TFC's displays not disabling properly. - [BUGFIX] Fixed invisible inventory view for Auryen's Notes on the Dragonmail Cuirass, Auryen's Notes on the Bloodworm Helm and Rkund Journal. - [BUGFIX] Fixed issue with parts of the museum and Solitude becoming invisible at certain angles. - [BUGFIX] Set a number of parts of the hot springs to Full LOD, making them visible even without using DyndoLOD or similar. - Updated "RS Children" patch. - [NEW] Converted mod to ESM, will require a new game to prevent odd behavior. - [NEW] All display sort systems will allow users to hook into them, documentation to follow. - [BUGFIX] Replica Visage armor can now properly be used in place of the originals on display. - [BUGFIX] Renamed Checklist MCM title to prevent it overflowing outside the MCM title area. - [BUGFIX] MCM Toggle for Moon and Star display now works correctly. - [BUGFIX] Reduced gold value and critical values of a number of replicas. - [BUGFIX] Pelageus' Hipbone now has a replica. - [BUGFIX] Added sublist for Moon and Star sorting. - [BUGFIX] Fixed broken teleport door in Rkund. - [BUGFIX] Typo fix in Auryen's final journal. - [BUGFIX] Disabled unused crafting dialogue from Ognar's Kegbreaker quest. - [BUGFIX] Replica workbench in safehouse not working. - [BUGFIX] Updated Hand of Glory quest to remove property making Roggvir persistant. - [BUGFIX] Navmesh conflict with USSEP. - [BUGFIX] Fixed a bad condition that should allow Museum Tours to occur in the gallery. - [OPTIMISE] Removed a number of duplicated FormIDs. - Updated "Heavy Armory" patch. - Updated "Immersive Armors" patch. - Updated "Artifacts of Boethiah" patch. - ADDED "Sands of Time" patch to the FOMOD. - ADDED "Artifacts - The Ice Blade of the Monarch" patch to the FOMOD. - ADDED "Ruin's Edge" patch to the FOMOD. - ADDED "The Staff Of Sheogorath" patch to the FOMOD. - [BUGFIX] Fixed broken door link in Rkund. - [BUGFIX] Fixed quest stall during Ognar's Kegbreaker hand in, works on game in progress. 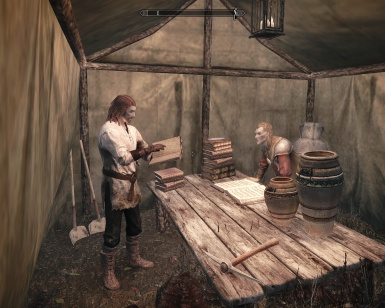 - [BUGFIX] Pickaxe of the Impatient activator is now tied to Helgen Reborns display enable state. - [BUGFIX] Added an additional check to stages 10 and 15 of Shattered Legacy to set the "Read Byron's bloody letter" objective complete if the player read it before taking it. (Will not fix for players past that stage already). - [BUGFIX] Corrected book bounds and a few minor typos. - [BUGFIX] Cleaned ITM records. - [BUGFIX] Dragons should no longer fly through the museum, guildhouse or hotsprings area. NOTE: Do not update while 'Shattered Legacy' is running! - [NEW] A special anvil has been added to the Dragonsoul Forge to allow you to swap the armor from Shattered Legacy to it's other forms. - [BUGFIX] Updated the Tonal Staff meshes to make the inserted gem properly visible. Also added better descriptions of the perks provided (Magic Effects tab). - [BUGFIX] During the museum heist Avram will not turn hostile if he's hit by the player in combat. - [BUGFIX] Included missing models from Unique Booze Bottles. - [BUGFIX] Fixed texture assignment on "Auryen's Notes on the Dragonmail Curiass" & "Auryen's Notes on the Bloodworm Helm"
- [BUGFIX] Fixed an odd sorting bug with Amulets of Skyrim's cabinet. - [OPTIMISE] Altered the Visage Armor displays to use one activator per piece instead of three. - [OPTIMISE] Deleted Spear of Bitter Mercy from game files as this was unused and had no mesh. - [NEW] MCM Menu now supports Artifacts of Boethia. - [BUGFIX] Found an innovate solution to the jewelry cabinet issue when running patched mods that add rings/amulets. - [BUGFIX] Fixed repeating scene at the end of EX03. - [BUGFIX] Reduced intensity of light over Staff Enchanter in safehouse to avoid possible ENB conflicts. - [BUGFIX] Shield of Reman Cyrodiil now counts properly towards Visage set bonus. - [BUGFIX] Added MagicDisallowEnchanting keyword to a number of unique relics. - [BUGFIX] Delete Visage perks damaging enchantments. - [OPTIMISE] Updated book bound on several vanilla books. - [OPTIMISE] Added replica crafting options for Visage robes set. - [OPTIMISE] Removed unused spells, perks and other forms for Visage set. - [OPTIMISE] Conditioned a few perks to only fire with relevant item equipped. - [BUGFIX] Added an activator to the Cooking Pot in Dawnstar Dark Brotherhood Sanctuary for if the player turns in Hand of Glory to Griegor there. Will have a marker on a new game only. Existing players will find it in the main communal area with no quest marker. - [BUGFIX] Fixed Wraithguard's model assignments AGAIN! - [BUGFIX] Removed hotspots bugfix that was causing infinite loading. If you encounter a fake door to Solitude, there's nothing we can do about it, go back the way you came. - [BUGFIX] Fixed Latoria wandering off in Excavation 03 stage 31. - [BUGFIX] Removed some erroneous dialogue conditions from Marassi's dialogue during the Excavation of Windcaller Pass to try and prevent the quest stalling. - [OPTIMISE] Increased size of a couple of triggers to make Excavation 01 flow better. - [NEW] Artifacts of Boethiah Support Enabled. Patch Required. - [BUGFIX] Corrected Explorer relics loadscreen map texture. - [BUGFIX] Fixed a bug where the Oblivion Artifacts mod was being ignored by the Prepstation in certain situations. - [BUGFIX] Navmesh in the hotsprings repaired. This was bugging out 'Room with a View' and anything involving the Guildhouse. - [BUGFIX] Fixed the cooking pot in the Safehouse not working with craftloot. - [BUGFIX] Fixed poison sorting issue with supply stash. - [OPTIMISE] The treasury in the Safehouse and Deepholme are have been optimised. - [BUGFIX] Corrected a number of small issues since previous Craftloot update. - [BUGFIX] Packed missing script for Dawnfang/Duskfang. Reuploaded Update as mesh for cheat chest wasn't packed correctly. - [NEW] Activated support for BadGremlins Collectables. Merged or replacer ESP only at this time. Requires Textures/Meshes from original mod page in order to work. Replacer ESP in Optional Downloads. - [NEW] Improved DBMUtility2 (Cheat Room) to make it easier to find things. - [BUGFIX] Safehouse anvil will now use craftloot correctly. - [BUGFIX] Fixed a number of minor scripting errors. - [NEW] Archaeology Stations now use craftloot. - [NEW] Ognar's Kegbreaker quest can now be completed by killing/pickpocketing him. - [SKSE64] MCM Checklist - fixed a bug with mod not installed text. - [BUGFIX] Kegbreaker ability optimised. - [BUGFIX] Soulgems now stash properly. - [BUGFIX] Fixed possible stack dumps while using Craftloot or the supply storage. - [BUGFIX] Removed Moon And Star from Auto-sorter, only replica will automatically sort into the Upper Gallery (Jewelry Cabinet unchanged). - [BUGFIX] Altered 'It Belongs in a Museum' so it now sends you to Elsweyr regardless of if Moonpath is already started or not. - [BUGFIX] Avram is now correctly flagged as a unique actor. - [BUGFIX] Avram will now eat and sleep at certain times of day. - [BUGFIX] Added a fallback to the Malrus Codex sealed door to unlock it if Stage 10 is completed when you enter the cell. - [BUGFIX] Added a new fix marker to the back door of the safhouse incase the player somehow ends up in the wrong worldspace when exiting the safehouse to the hotsprings. - [BUGFIX] Miraak Reborn Heavy version now displays in Deepholme. - [BUGFIX] Adjusted alignment of Armor of Tiber Septim in Deepholme. - [OPTIMISE] Added craftloot scripts directly to activators, so less script cleaning if the system is every altered again. - [OPTIMISE] Cleaned out a few static records that are not being used and were duplicates of vanilla records. - [BUGFIX] Implimented a fix for Main Armory racks which were causing a long papyrus spam due to their enable state. - [BUGFIX] Fixed Freir not giving you the Skaal case key. - [BUGFIX] Packed missing Mannequin toggle script. - [BUGFIX] Locked down the topic about the haunted museum so only Auryen can say it. - [BUGFIX] Set two of the male mannequins to properly be initially disabled. If you encountered this bug mid-game, toggle the mannequin genders via MCM or activator in the library to reset them properly. - [BUGFIX] Optimised a few NIFs that were still in LE format. Vigilant Patch Updated - Support for MCM enabled display management. - [NEW] The Visage Armor set is no longer enchanted but will still allow unique abilities. - [NEW] Auryen now comments on the Haunted Museum quest after is it completed. 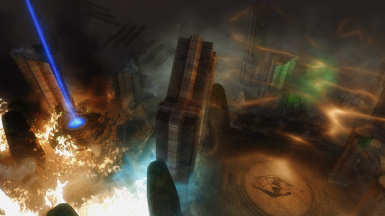 - [NEW] Auryen explains a little more about the Moon and Star Ring during Shattered Legacy. - [NEW] Soul Extractor and Soul Gem Font have new custom models. - [NEW] Added additional lock to Rkund Hall of Puzzles to make the Player go into the Sepulchur and see the scene there. - [BUGFIX] Soul Extractor now works correctly, SKSE functions had not been properly re-enabled. - [BUGFIX] Packed missing texture and mesh for Akayn's tool bag. - [BUGFIX] Arkayn's tool bag is now properly linked to Tools of the Trade. - [BUGFIX] Added Akaviri Blade textures back into the BSA. - [BUGFIX] Research Station can no longer target relics already on display or in Deepholme. - [BUGFIX] Fixed unfinished sentence in Qahnaarin armor prompt. - [BUGFIX] Applied one final "brute force" fix to the Explorers getting stuck in the Hot Springs. - [BUGFIX] Explorer Followers are now automatically dismissed at the start of Expedition Quests and cannot be re-recruited until after. - [BUGFIX] Madras can no longer be a follower during the planetarium quest. - [OPTIMISE] Added new SFX to the Azura section of Shattered Legacy. - [OPTMIISE] Rewrote the display swapping script for the Red Eagle blade and Goldbrand. - [OPTIMISE] Simplified and removed havok from some of the safehouse crafting displays to improve load times (forwarded from LE). - [OPTIMISE] Removed enable state for mannequins in Armory and Dragonborn Hall to prevent possible CTDs. Built new handler to swap/toggle them. - [OPTIMISE] Removed more leftovers from model swapping system. Corrected environment maps for High Resolution Pack which caused CTDs in Hall of Heroes and Temple of the Venerable Ones. Updated 2K Texture Pack with latest changes - 7zip archive to reduced download size. 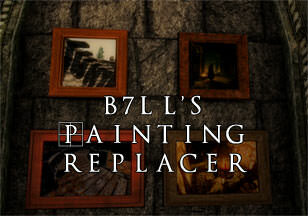 Updated 512 Texture Pack with latest changes - 7zip archive to reduced download size. - [SKSE64] MCM Menus fully localised. Can now be easily translated into your native language (packed with English as default). - [SKSE64] The Forgotten City toggle in the MCM now works properly (was toggling the Explorer's Guild Banner). - [SKSE64] Ravengate MCM toggle now works correctly. - [NEW] New Explorer Relic - Arkayn's Tool Bag. Can store relics that give buffs while protecting them from being Auto-sorter. Use it on Fate Cards decks, Ice's Stalhrim Spoon and others. - [NEW] Research desk in the library - Use knowledge gained from books in the world to locate a missing volume or relic from the museum! - [BUGFIX] Corrected a problem with SunBlessed's health regen ability. - [BUGFIX] Skullcrusher now actually has it's drain stamina enchant. - [BUGFIX] Forwarded Change from USSEP: Erikur's House had its ownership incorrectly set to SolitudeEvetteSansHouseFaction. Its lock list was also incorrectly set to SolitudeEvetteSansHouseLockList. - [BUGFIX] Corrected an odd issue where the player can walk through the Windcaller Pass gates, bypassing Fanfir's rescue scene. - [BUGFIX] Fixed Old Man's Lucky Coin perk doing nothing. - [BUGFIX] Archeaology Perk Benefactor now correctly reduces merchant prices by 10% instead of increasing them. - [BUGFIX] Corrected Daedric Crescent perk to allow the 15% armor ignore to work correctly. - [BUGFIX] Wanderlust ring now correctly adds +10 armor. - [BUGFIX] Ice's Stalhirm Spoon of Assassination now properly adds +5 enchanting. - [BUGFIX] Added Fafnir's voice back into the mod. - [BUGFIX] Dragonmail Curiass now provides a full 100% fire resist. - [BUGFIX] Fixed a bug with Ghost Helm Ability. - [BUGFIX] Added Rising Dawn's missing ability to deal more damage during the day. - [BUGFIX] Umbra's base damage rating is now 14 instead of 24. - [BUGFIX] Removed underscore from Windcaller Pass Worldspace. - [BUGFIX] Fixed an oversight in the Ancient Tongues weapons handler. - [OPTIMISE] The Sextant relic find ability will now automatically fail if you leave the cell without collecting the relic. It is also now tied to the story manager to increase reliability. - [OPTIMISE] Boots of Blinding Speed effect reduced to 150 from 200 to prevent issues caused by the player moving too fast. - [OPTIMISE] Fate cards will now tell you which cards are missing from the deck if you select them without all the cards in your inventory. - [OPTIMISE] Deck of Spiders ability is now chance of poison and paralyse as weapon speed buff would break under certain conditions. - [OPTIMISE] Explorer Relics without descriptions will show a message when you acquire them. - [OPTIMISE] Moonpaths handler now will not break quest markers for Moonpaths start quest (new games only). - [OPTIMISE] Simplified 'It Belongs in a Museum' startup to try and prevent wrong version of the quest from firing. - [OPTIMISE] Removed vanilla blades weapon and armor textures that were packed by mistake. - [OPTIMISE] Trimmed out some unused script files from main package. - [OPTIMISE] Removed scripted effect of Necromancer's Dagger, now handled by the enchant. - pDBM_cardscript* (all scripts with this prefix). - Added "iNeed - Extended" patch to the FOMOD. - Updated "Solitude Skyway" patch. - Updated "Skyrim Alchemy and Food Overhaul (SAFO)" patch. !! !REUPLOAD AS NEXUS SEVERS CORRUPTED V3.1!!! - [SKSE64] Fixed Jewelry MCM checklist. - [SKSE64] New Shared Museum feature (requires PapyrusUtils) - BETA! - [SKSE64] MCM Config Menu now has option to prevent 'Night at the Museum' from starting. - [SKSE64] MCM Menu has list of current shared displays and toggle for the system. - [SKSE64] Fixed book sorting script. - [NEW] Added Rakis' missing lines. - [NEW] Added new version of FrankFamily's Ice Blade of the Monarch to replace current version. 1k Textures packed. Higher resolutions at main mod page - https://www.nexusmods.com/skyrimspecialedition/mods/13972/? - [BUGFIX] Fixed a problem where Rakis couldn't say his new line if you saved him. - [BUGFIX] Fixed Amulets of Skyrim sorting issue. - [BUGFIX] Fixed flicking lights issue with Library Walkway mesh. - [BUGFIX] Fixed maps in Library disappearing from certain angles. - [BUGFIX] Disabled displays for Artifacts of Skyrim content that cannot be acquired. - [BUGFIX] Yet another check on the 'It Belongs in a Museum' dialogue to try and prevent the quest being given without moonpaths installed. - [BUGFIX] Fixed some z-Fighting in the Artifacts of Skyrim display room. - [BUGFIX] Relinked doors in Hot Springs and Guildhouse to navmesh. - [OPTIMISE] Optimised Navmesh in Natural Science Gallery, including fossil room. - Fixed issue with Auryen continuously force-greeting player about It Belongs in a Museum. - [SKSE64] SKSE is now utilised as a supported mod and SKSE-dependant features will automatically toggle on or off based on if SKSE is working or not. - [SKSE64] MCM Configuration updated for SSE with new layout. - [SKSE64] Prepstation will ignore favorited items with SKSE loaded. - [SKSE64] Weapon and Armor displays will ignore favorited items with SKSE loaded. - [SKSE64] Dwemer Compass can now report location names with SKSE loaded. - [SKSE64] Kargas Forge will now switch between SKSE and non-SKSE feature based on SKSE load status. - [SKSE64] Store outfit activator in safehouse will now allow you to record your current armor into the cloest system. - [SKSE64] Closet system will now work as it did in LE version, if SKSE is loaded. - [SKSE64] Reading chairs in Library can now open inventory (unless using xbox controller) with SKSE loaded. - [SKSE64] Book sorting works for Alphabetical sorting with SKSE loaded. - [BUGFIX] Edited the Archeology reset system so it no longer allows you to take perks without their prereqs after a reset. - [BUGFIX] Set Excavation 03 Marassi as Initially Disabled to avoid earlier quests pointing to him. - [BUGFIX] Set enable parent on Riften TWR display so it only appears when mod is installed. - [BUGFIX] Removed Siligonder armor for Dragonborn Hall sorting list (now part of Moonpaths Supported Mod handler). - [BUGFIX] Added a weapon description to the Staff of Indarys to prevent the enchantment text bug. - [BUGFIX] Added missing magicka resist buffs to Chrysamere. - [BUGFIX] Correctly replaced the Disenchantment Font with a dummy. - [BUGFIX] Corrected a bug with duplicated 1H Sword container in the Safehouse. - [BUGFIX] Added a Global to the 'It Belongs in a Museum' startup to try and stop the wrong quest parts from being activated. - [BUGFIX] Added pause to Rakis' airship scene if a combat happens as the scene is playing out. - [BUGFIX] Added a new path to 'It Belongs in a Museum' which acknowledges that Rakis was saved by the player. - [BUGFIX] Fixed mis-directed reference to Fang of Haynekhtnamet in Morrowloot SM Handler. - [BUGFIX] Fixed the mesh for DBM_Spatiorails2 so it no longer disappears when looking upwards. - [BUGFIX] Removed edits to the Gold and Ruby Circlet [000166fd] and Copper and Onyx Circlet [000166ff] which were causing problems with circlet models. - [BUGFIX] Spiced Wine keg in kitchen now gives correct drink instead of Ale. - [BUGFIX] Updated Spell Tome Meshes from Load Screen to forward changes from Book Covers Skyrim. - [BUGFIX] Altered description of the Circlet of Omnipotence to match the actual ability. - [BUGFIX] Fixed broken enable link on Hall of Lost Empires Centurion Display. - [OPTIMISE] Rakis will now start his journey back to Eslweyr if you save him from the Thalmor. - [OPTIMISE] Added new scripts for debug containers to ensure they refill with all the supported mod items each time you enter the cheat room. - [OPTIMISE] Removed redudant scripts from MCM handlers. - [OPTIMISE] Renamed Kegbreaker's FX to make it more immersive. - [OPTIMISE] Auto-sorter will now also see items in sublists. - [OPTIMISE] Added original 'Map of Dragon Burials' to auto-sorter in place of the replica. - [OPTIMISE] Improved jewlery sorting and reduced number of statics in Library as a result. - Fixed inventory art for 36 Lessons of Vivec Volumes. - Corrected an issue during Trial of Trinimac where Latoria can say one of Kyre's lines. - Fixed some bugs with the Hand of Glory quest that halted progression. - Added missing craftloot scripts to the Distillery in the Wine Cellar and Oven in the Safehouse. - Altered the font size in the Curators Guide to fix the display issue. - Fixed roombound issues in Alftand and Irkngthand. - Removed some erroneous vanilla scripts from the archive. - Corrected spelling of Aetherial in Hall of Lost Empires. - Corrected typo on dragon display plaque in Gallery of Natural Science. - Fixed Vampire quest plaque in Hall of Heroes. - Modified Dev Aveza flight system to use OCS versions of the airships. - Re-linked a part of the Dawnstar airship ladder to the ship. - Re-added missing mesh folders from v2.81. - Fixed an minor issue where Library shelving would disappear just before it left the player's field of view at certain angles. - Attempted to fix Hand of Glory loadscreen issue by updating mesh. - Fixed a minor alias issue on the Guidebook handler quest. - Added Ravengate display to the Supported Mod reloader, can now be installed mid-game. - Navmesh added to Aetherium display room. - Fixed a problem with Aetherium Displays sorting incorrectly. 08/11/17 - 1000 ENDORSEMENTS UPDATE! - NEW SUPPORTED MOD - Ravengate! Displays in the Hall of Secrets. - Added replica recipe for Aylied Waystone. - Added some display plaques to the major quest displays in the Hall of Heroes. - Optimised armory sorting operation to be approx 10% faster. Cabinet is now inaccessible while the displays sort. - Optimised Jewellery sorting section of Prep Station script. - Updated jewellery sorter to look for Replica Ayleid Waystone before the original. - Improved the delivery of the safehouse key (normal start) by using a Change Location event instead of registering for an update. - Optimised the delivery of the airship if Moonpaths is installed. - Extended Live Another Life start timer to 3 game days, but added a sense check that no other museum quests have been started - it also writes the outcome to the log depending on what happens when it is triggered. - Added missing ability to default Tonal Staff. - Corrected a condition issue with a line of dialogue during Shattered Legacy. - Corrected some papyrus log errors. - Corrected typo on Aetherial Crown display. - Fixed a mismatch in the Aetherial Bolt Launcher displays. - Added additional condition to Planetarium crafting recipes to stop them showing up at Field Stations. - Removed the video file from the BSA as it cannot be played while compressed. - dbm__qf__060d19f9 (If you do not have the safehouse key yet, do STOPQUEST DBM_SafehousekeyDelivery and RESETQUEST DBM_SafehousekeyDelivery). - Fixed missing mesh for Amulet of Kings 1st Edition. - Fixed an issue with the glass panels in the library disappearing when viewed at certain angles. - Updated Navmesh in the Airship cabin. - Fixed an issue with Safehouse bedroom flooring going dark at certain viewing angles. - Fixed issue where followers would get stuck in the Museum Storeroom due to exit not being linked to navmesh. - Re-built the Museum Exterior Navmesh and preferred pathing again by hand. - Added an extra AI package to the Herald of Akatosh to prevent him wandering off while the player takes fire damage in Shattered Legacy. - Fixed Wheels of Lull display appearing at the end of 'Sky Spy' when it should appear at the start. - Removed redundant direct activation of Armory displays and replaced the plaque function with an information message about the armor/weapons. Legacy of the Dragonborn Patches SE updated. - Altered Cloaks of Skyrim auto-sort function to ignore cloaks that are equipped, on the exclusion list or already in the safehouse storage. - Prevented Dragonstone replica from showing up at the forge too early. - Fixed a problem with Ancient Falmer Arrows being invisible when drawn from the quiver. - Reverted changes to the cubemaps in the Ayleid Pocket Realm as this was causing a crash. - Fixed a bug where using the exit portals from the Ayleid Pocket Realm doesn't reset the Waystone and removing it outside the Pocket Realm would still teleport the player back to where they first put it on. - Added navmesh to Culture and Art Gallery (no idea how this has never come up before). - Fixed Deepholme Dragon Priest Displays not being compatible with certain version of Miraak's mask. - Re-added Activator for the Mace of Aevar Stone-Singer that was accidently deleted. - Fixed a hole in the navmesh outside the museum that prevented followers from being able to reach the museum or the secret entrance. - Updated Bards College display handler to point to correct display count global. - Added Bards College display toggle to debug room. - Optimised the Skill display scripts in the Hall of Heroes. - Updated a few scripts using an outdated display count Global. - Loading The Gray Cowl as a supported mod will now disable that mod's instance of Umbra. - Added collison planes to the displays in the Culture and Art Gallery to stop naughty relic hunters from falling into the void. - Renamed non Museum Cells to have DBM Prefix and removed underscores. - Changed Deepholme quest markers to not point to a disabled version of Auryen. - Fixed Deepholme stalling at the 7 day wait due to an update mismatch in the script. - Removed enable parent from Deepholme collision planes so they will persist even after the prison is refit. - Reworked script for Rkund magma silo to allow lava damage without using SKSE. - Fixed an issue with ClothesCirclet03 that made it invisible on non-beast races. - Fixed a mesh issue causing Dragonbane to stay in the scabbard when being drawn. - Fixed collision, inventory rotation and coif texture on Helm of Winterhold. - Fixed an issue where Malrus' Codex SUT Chest Finding ability wouldn't work in interiors and stopped it from being availible if you haven't found the chest yet. - Fixed a bug with Malrus' Codex Aetherium Loot Lists where you would not be able to find Ingots during the 24hr period. Reuploaded the texture packs to include revised cubemap textures. - Corrected an error with a line of Auryen's dialogue. - Reworked Merrian's Spyglass to no longer be SKSE dependant. - Added condition to 'An Interesting Prospect' dialogue to stop it from firing during 'Dragonborn Gallery'. - Corrected an order error in the Hall of Lost Empires auto-sorter that caused the Snow Elf weapons and Planetary cubes to sort incorrectly. - Moon and Star Ring auto-sorter list updated. - Fixed Moon and Star Ring script not killing the player properly. - Cleaned unused properties from Herald of Akatosh trigger script. - Stopped auto-sorter from taking Blue and Green keys during Much Ado About Snow Elves. - Fixed Open Cities patch stalling Shattered Legacy at stage 88 due to missing script. - Renamed 'Winterstorm' activator to Winter Storm for consistency. - Glacial Spire (Snow Elf Greatsword) now auto sorts instead of its unenchanted counterpart. - Updated sort chest to check craftloot lists before keywords. - Fixed missing property on sort chest script for Material storage. - Updated Hunterborn handler to compensate for incorrect keywords on some raw meat items. - Fixed an issue if Moonpaths is loaded after Legacy's Staff of Indarys quest is completed it's questline never starts. - Fixed the female texture issue for Glided Wristgards (Replica) as per USSEP. - Cleaned up sorter system to remove redudant code. - Optimised SM Handlers which were using outdated sort code. - Re-ordered the sorting functions to be a little more immersive. - Changed Museum Heist and Haunted Museum to not start while the player is inside the Gallery. - Fixed Supported Mod displays not enabling mid-game. - Fixed issue with tempered items being reverted in the closet system. - Fixed an issue with Yekrem display plaque in Hall of Natural Science. - Updated Natural Science Plaques to say 'Read Plaque' instead of 'Activate'. - Added Ghost Helm to Auto-Sorter Lists. - Fixed some missing properties on Gregor's Death Script. - Greigor now flees the Falkreath Sanctuary during the attack and will turn up at the Dawnstar one. - Reworked the Fists of Randagulf Dialogue with Falk to allow proper Persuade and Bribe option. - Added objective marker to Falk during Fists of Randagulf. - Filled a couple of missing properties that were stalling quests. - Added Thane Banner Toggles to debug room. - Added a workaround to Shattered Legacy if you have already defeated Miraak when being sent to retrieve his Soul Gem. - Changed hand-in conditions for the Brass Token hand-in on DBM_MuseumJoinQST to allow it if the player has more than one of the tokens. - Added check to Craftloot that won't auto-activate the relevent crafting station if Ordinator's Advanced Workshop, Advanced Lab or Gem Dust perks are in use. - Move the Museum Fast Travel marker to try and stop followers falling through the floor. - Updated objective markers for 'Eternal Ice' to only point to the enabled instance of Auryen. - Optmised An Interesting Propect (DBM_MuseumJoinQST) and Dragonborn Gallery (DBM_RelicHunterQST) to hopefully put an end to the early game stalls. - Removed Reserved Alias flag from DBM_MuseumJoinQST relics. - Changed Denstagmer's Ring stages to require the actual ring being acquired instead of activating the strongbox. - Removed Moonpaths to Elsweyr Music from BSA file. - Added missing lines for Auryen. - MAASE starting note is now a quest item and can only be dropped after speaking to Calcelmo to begin the quest. - Changed Thieves Guild Display to enable after TG09 (returning the Skeleton Key) rather than after becoming the Head of the Thieves Guild. - Linked Haunted/Heist version of displays to main gallery display to reduce script load. - Added a handler to Craftloot that doesn't auto-activate the mod if Ordinator's Advanced Workshop perk is active. - Modified the way Craftloot works to support delayed bench activation. - Corrected incorrect log message for craftloot toggle. - Fixed Rakis greeting for Moonpaths ending of the airship delivery quest. - Added missing glass cubemap that was causing issue with some bottles. - Fixed Jerrin's AI package so he no longer stands in Solitude like a lemon. - Updated Supported Mod display scripts to ignore equipped items (to be consistent with other displays). - Madras is now Cautious rather than Cowardly. - Updated Horker Display Script. - Fixed some book texture issues. - Overhauled Varicio's trading system to not allow him to 'give away cards' anymore. - Changed conditions so Haunted Museum can start after Heist quest. - Fixed Cloaks of Skyrim and treasury updates from previous version. - Re-applied fixes from 1.6 that seem to have been lost in latest ESP. - Moved exit marker for Guild House forward slightly. - Deleted some redudant collison planes in Solitude worldspace that may contribute to the above. - Adjusted the weapon rack activators in the Armory to fix the bug where items can't be taken from the display. - Added a toggle for the Closet System power to Safehouse bedroom. - Added a toggle for the Stash Spell to the Safehouse crafting room. - Added a check to Frea's dialogue to prevent multiple keys being given. Also allowed marker to move to Vahlok's mask once you have the key. - Added teleport link to Fake hotsprings door to attempt to fix the issue of a broken door appearing in tamriel worldspace. - Cloak of Skyrim support enabled. Will auto setup first time you enter the safehouse (not on game load). Cloak also auto-sort now. - Updated Treasury script to work more efficiently. 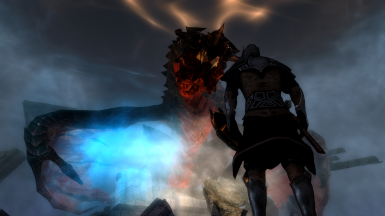 - Forwarded a failsafe to the initial LAL quest from Classic Skyrim to not stall if you kill the Dragur boss in Bleak Falls Barrow before reading Auryens Initial Notes. - Added a check to Urag's dialogue in MAASE so he can't be spoken to early. - Fixed safehouse floor gap. - Removed missed references to ICW/Mad Masker support. - Attempted to fix the issue both notes, any still having the issue should be reported. - Updated SUT Handler to disable duplicates if Legacy is loaded into a save where SUT is already setup. - Stripped Mad Masker assets and support from file. - Stripped ICW assets and support from file. - Fixed bug with Morrowloot's Wraithguard mesh (SirJesto). 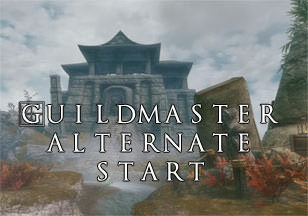 - Updated Solitude Overhaul handlers to re-check on load. - Added support for Aritfacts of Skyrim. Reuploaded archive as previous version was corrupted. - Fixed Tomb of the Dragonborn mesh. - Fixed Airship Loadscreen NIF. - Fixed Normal map on Dev Aveza. - Small refinement to ICW Display Handler. - Added missing mesh for Carved Gaunlets display. - Rebuilt leveling system for Weapons of Ancient Tongues - all weapons now start at level 20 and will upgrade themselves at Level 40,60 and 80. - Fixed Sell Cart not actually selling your items. - Cleaned ITMs and undeleted navmesh at Guildhouse. - Build provisional SM Handler for BadGremlins Collection. - Fixed an issue with the Moonpaths Handler that teleported Rakis to the airship and not the communal area. - Added a Sandbox package to Rakis when he is in Topal Base. - Rakis should now properly give you the Staff of Indarys with Moonpaths installed. - Ramdomised Thalmor assassin's dialogue. - Added coffin in Solitude Hall of the Dead for Rakis. - Fixed a problem with Auryen not giving 'It Belongs in a Museum' if Moonpaths isn't installed. - Hunterborn and several other support handlers enabled. - Fixed Alftand and Haunted Museum Crashes! (Thanks JCBQ + Aronax!) - MAASE Keys and AARS Books causing the issue. - Destory/Disband thieves guild support removed - author will not port to SSE. - Morrowloot and MorrowLoot Ultimate Support Enabled. - Removed underscore from EditorIDs of Legacy cells to prevent saving bug. - Placed Alvaros tools in the world for when Moonpaths is not installed. Also added function to moonpaths handler to move the Tools to Elsweyr. - A number of mesh errors have been corrected by SirJesto. - Shut down all supported mod handlers on load. - Shut down supported mod handlers completely. - Shut down supported mods from Shrine and Stone Handler. - Added error to persistent museum activator. - Added Colovanian Brady display. - Library booksorter now works without SKSE - bookcases are now 'learning' cases. - Added filter to the Utility Cell bookcase to stop it starting ALL the quests. - MCM Menu quests stopped. - Craftloot Toggle scripts optimised. - Food displays and misc clutter displays in kitchen working. - CCOR/Cloaks of Skyrim handler now SSE compatible. - Treasury is now SSE compatible. - Fixed a number of activators in Gallery of Natural Science. - DBM_MuseumJoinQST - updated SellWatch handler now compatible. - Cleaned up a bunch of papyrus errors. - Explorer Relics, Room with a View and Digging Up Explorers compatible. - Built an alternate path to get the Staff of Indarys, Plaguesword and Airship. - Added SM Handler for Moonpaths. - Dwemer Compass Compatible - no longer supports location names. - Kargas Forge now clones items in exchange for a Black Soul Gem. - Airship quest and start conditions adjusted for non-moonpaths route. - Removed SOAT Levelling, will impliment non-SKSE system similar to TWR. 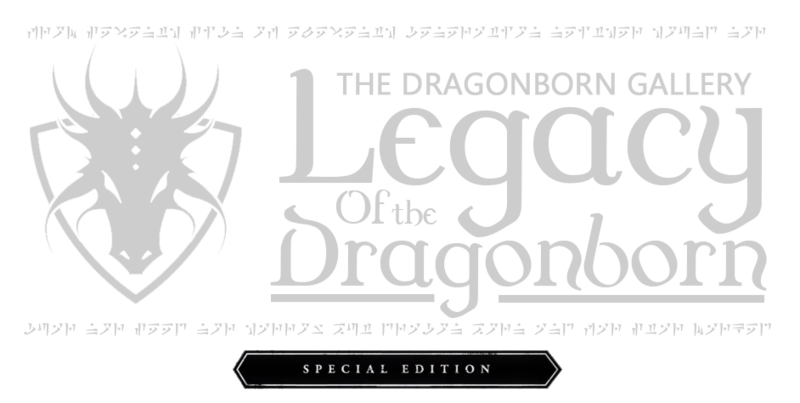 Legacy of the Dragonborn SSE is here! The Legacy of the Dragonborn is steeped in prophecy, myth, legend and history itself. Explore forgotten lore and uncover the lost relics of the 7 Dragonborn of the bygone eras of Tamriel. From those merely mentioned in title to those who wielded the power of the voice, many legendary and influential people held the title of “Dragonborn” and they all link to the lost covenant of Akatosh. “Legacy of the Dragonborn” is a MASSIVE addition which will change the way you play Skyrim forever. Meet the curator Auryen Morellus at the museum in Solitude and he will help guide you in your quest to gather the many relics of Tamriel's history as well as provide a fully equipped player home and many many more quests as well. As you display relics you will unlock more history and lore as you encounter new challenges, meet new NPC's and embark to establish your own guild, " The Explorer's Society ".Aim to explore and discover lost places, artifacts and history, Build the guild house from the ground up as the guild master, then recruit new members, each with their own unique back stories and special guild functions. Explore ruins and excavate relic fragments to reassemble into artifacts to display in the museum. Set up a guild store with the quartermaster and much more.Legacy has become a true force to be reckoned with. Try the mod and you will almost certainly make it a centerpiece in most of your playthroughs. Please note that the central quest hinges on your character being the Dragonborn, so if you choose to use other mods that alter this canonical aspect of Skyrim, it will interfere lore wise with Legacy and possibly mechanically. 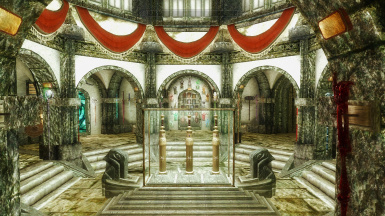 Dragonborn Gallery - a large museum building located in Solitude (near the Blue Palace, you can't miss it!) - featuring hundreds of displays for both vanilla items and new treasures added by this mod. The Museum features themed rooms for Ancient Civilisations (Falmer, Dwemer, Ancient Nords), Skyrim's Wildlife, Dark Daedric Artefacts and all the other Oddities you will find on your travels. The Safehouse - Once you have met the Curator and agreed to work with him, you will unlock a player home with everything you could ever want! The safehouse has all crafting stations from Skyrim, plus a new station the Soul Gem Transmutation forge. All crafting supplies in the museum are linked a the Craftloot system for ease of use. The Safehouse also has a fully equipped bedroom and kitchen, plus extra room that can be upgraded to either a family room or a hangout for your followers. Craftloot - An intelligent crafting system that stores all your crafting resources locally and puts them all into your inventory on activating one of the crafting stations. A spell is also available to access your crafting storage at will from anywhere. Hundreds of New Relics - Legacy adds a massive array of collectables to the world, and gives unique textures to some of the more prominent relics of Skyrim. The changes are fully compatible with your preferred weapon replacers provided you load them after Legacy. The Explorers Guild - Bored of the same guilds in Skyrim? We've got you. With a brand new Guild you found yourself known as the Explorer Society. Recruit members, setup expeditions and take advantage of the Guild member's unique skills. All culminating in 3 massive expedition quests with tricky boss battles and breath-taking set pieces. Maximum Compatibility - Legacy of the Dragonborn has built in support for 20+ mods, plus patches for many many more. See the technical section for full details. Automatic Display Sorting - If you'd rather not wander through the Gallery looking for the display spot for your new treasures, the Library features an auto-sorter which will scan your inventory and display any items you've collected. Replica Crafting - Want to use that powerful relic instead of leaving it to gather dust? Craft a replica at the replica station and put the fake on display. This comes in handy later in Questline too! A New Skill (Archaeology) - as you discover more of the hundreds of dig sites dotted around Skyrim you will advance levels in Archaeology allowing you to turn your fragments into new and interesting relics. Some with special abilities and others just for show. Archaeology also has 3 perk trees independent of the Skyrim perk system for maximum compatibility! To install the mod, download the Main file and any update files from the download section. In MO2 or NMM, install the core package FIRST, then install the update over the top. Your installation is good if you have the 3 mod files; LegacyoftheDragonborn.esm, LegacyoftheDragonborn.bsa and LegacyoftheDragonborn - Textures.bsa. If you wish to use any mods that require patches (see Technical for a list) you need the Patches FOMOD from the Optional Files section. This should auto-detect your installed mods and add the correct patches. After each update, a new file will be posted on this page. Download that file and take a moment to read the changes tab, so you understand what's new. There may also be a list of 'Scripts to Clean' which is not optional if you wish to upgrade mid-game. If you are unsure how to clean scripts you need a utility such as FallrimTools which can remove both the script itself and any instances of it from your save file. This allows the game to reload the scripts from the new file and update any changes made. Due to the size and complexity of this mod you CANNOT uninstall mid-game without breaking your save file. Legacy has over 1000 scripts and many more items, quests and other objects that will persist in your save data after deleting the mod and gradually corrupt your save. This is the case with any scripted mod - only the texture packs can be swapped mid-game. Due to the differences between Special Edition and Classic, a number of features found in the original version have been reworked or removed. Below is a summary listing differences again v19 of LOTD Classic. In Skyrim Classic, an optimised version of Moonpath to Esweyr by MuppetPuppet was included as part of the main Museum Questline. In SSE there is a new version of Moonpath to Elsweyr being maintained by Illiani which includes improvements that differ from Legacy's original build. To save there being two different versions of the mod in the wild, Moonpath was removed from Legacy SSE but remains a mod with integrated support. If you start your game with both mods installed it'll play through almost exactly as it did in Classic. If not, an alternate quest for the relics found there has been created. - Mad Masker and Immersive College of Winterhold support removed. These mods will not come to SSE (the latter may do if we see SKSE64 released) so all support for them has been dropped. We'll be looking to fill their slots in the gallery with other SSE exclusive mods. * ICoW support has been added with a patch on it's own page. - Displays and Prep Station cannot ignore favorited items anymoreDue to the papyrus function Form.IsFavorited() being a SKSE exclusive function, the displays and prep station can no longer use this to ignore items on your favourites list. This part of the code has been commented out in hope it can be enabled again when SKSE64 releases. * This has been re-added with the availability of SKSE64. Another SKSE function Input.Tap() is not able to be utilised to automatically open the player's inventory in the library. A message box has been included to tell the player to open their inventory to read the books. 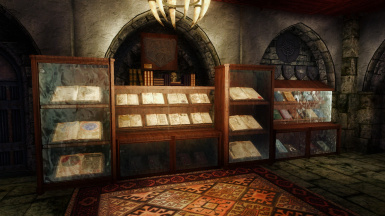 SKSE allowed identifying of the first letter of each book title, to replace this the bookcases are setup with pre-filled lists of vanilla and legacy books. If you manually add a book to one of the cases it will 'learn' that is where to put any further copies. The process is also a little slower due to GetNthForm() and GetNumItems() being SKSE only. This one is fairly obvious, due to no SKSE or SkyUI the MCM menu has been disabled. * This has been re-added with the availability of SKSE64. The sell cart functions as it always has, however without SKSE it cannot detect if an item has an enchantment so will only give base cost gold for enchanted items - sell these to Eriana or other merchants for full price. These and a few other systems have been tweaked to have the same functionality but no SKSE dependency. The function Form.GetName() is not supported with SKSE so the compass cannot report the names of the saved locations. The forge in Excavation 2 temporarily changes the visual model of an item in Classic. This uses about 7 SKSE functions to achieve it so has been reworked in SSE to simply clone an object in exchange for a Black Soul Gem. The Weapons of Ancient Tongues used SKSE to dynamically change the Damage/Crit/Speed of a single item from level 5-50 in 5 level intervals. As this is not possible in SSE, the weapons start at level 20 and will silently swap for stronger versions at Level 40,60 and 80. Non-SKSE version of the closet system is implemented. It does not have the ability to automatically record your worn outfit but it will work mostly the same. All converted and new Supported Mod handlers now use Game.GetFormFromFile() instead of Game.GetModByName() due to SKSE requirement. The handlers have also been rework to fire that function as few times as possible to prevent excessive papyrus spam. Legacy's new scripts will output errors and general messages to it's own log file to keep it clear of the papyrus log. As SSE supports two BSAs per file, it means the entire download can be reduced to 3 files, allowing for a much cleaner install. The following mods are fully integrated into Legacy of the Dragonborn and will cause duplication of content if the original mod is installed. Legacy features a number of special built-in handlers which will adapt the mod with various other files installed. This is done in a clever and patch-free way to save an ESP slot for each. Below details which mods are auto-supported and what the handlers do. The handler script will stop the Moonpaths questline (which currently start on first load) if the player is yet to start it - it is then started by Auryen at the beginning of 'It Belongs in a Museum'. It also adds Alvaro's Tools to one of the Elsweyr areas and places the Tharassian Plaguesword on the Sload boss. There is also a handler that will move Rakis to the Topal Base Hideout at the end of the quest so he can give you the Staff of Indarys. 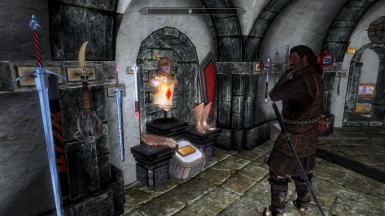 A display is also set up in Dragonborn Hall once the main Moonpath quest is completed which supports the Siligonder armor. If the player starts at the Solitude Docks (arrived by boat > Solitude) a prompt will appear asking if the player wishes to become the relic hunter. This will start an alternative beginning quest which skips the 5 item fetch quest of the normal start. A new room opens in the Hall of Oddities with support for all the lore-friendly items found in SUT. The script also disables any duplicate relics between the two mods if legacy is loaded into the game after SUT has been configured. SUTs items can also be found during 'Finders Keepers'. Malrus Codex can also be used to find the unique treasure chests. Quest display in the Dragonborn Hall will enable with the main quest is completed. Allowing display of a number of unique relics from the mod. Malrus Codex can be used to reveal an undiscovered map marker. A quest display in the Dragonborn Hall will enable with the main quest is completed. Allowing display of a number of unique relics from the mod. A quest display in the Dragonborn Hall will enable with the main quest is completed. Allowing display of a number of unique relics from the mod. Malrus Codex can be used to reveal an undiscovered map marker. A new room opens up in the Hall of Lost Empires where all the weapons and armor can be displayed. Aetherium Ore is added to random items collected by Madras when he is your follower and Malrus Codex power will allow you to find the ore in Dwemer boss chests. A simple compatibility patch that disables a number of ELFX added braziers floating in the air outside the Gallery. Adjusts leveled lists and removes duplicate artifacts. Adds all Hunterborn items to their appropriate containers for use in Craftloot. Opens a new room in the Hall of Oddities where all unique items from this mod can be displayed. Opens up a cloaks closet at the back of the safehouse bedroom where all cloaks from the mod can be displayed. Adds trophy displays in the Hall of Secrets for each Blacklist enemy you have defeated. Adds displays for each Thane Weapon in the Armory, next to each Hold display. Replacer ESP from Optional Files Required. Adds displays in Hall of Oddities, Hall of Secrets and Gallery of Natural Science for Great Jar Hunt, Trophy Heads, Captured Fairies and Something Fishy. As well as the built-in support, Legacy has a patch FOMOD (in the Optional Files) which contains a host of patches for extra mods. Not all patches add displays, some fix conflicts or duplicate artefacts. This file ensures certain enemies have Legacy added items. Adds an additional jewellery case to the Gallery Library which will display all the new Amulets and Rings added by this mod. Ensures the masks will line up correctly in their displays. If you use the loose files version of this mod, it will not be autodetected by the patcher, so you will need to select the patch manually. This file ensures compatibility between Legacy Ars Metallica. Ensures compatibility between Legacy and Artificer - Artifacts of Skyrim. This file ensures affected weapons have Legacy textures and AOS sounds. Allows you to create a replica of Aegisbane if you decide to return it to Torbjorn with this mod. This replaces books in Bruma with Legacy counterparts that can be placed in the museum. Legacy Specific Book Covers of Skyrim patch for Books Books Books. Also corrects Leveled List issues. This file ensures compatibility between Legacy and CACO. General compatibility fixes for CRF. Addresses duplicate relics and NPC edits. Ensures compatibility between Legacy and Daedric Realms Volume I - The Hunting Grounds. Compatibility for the artifact spawns and the Dwemer schematics. This file ensures the Ritual Master has the correct outfit for Legacy's script to add the Wormskull. This file ensures container compatibility between Legacy and Dynamic Dungeon Loot. Undoes a number of changes that break vanilla dragon spawns while also adding a display in the Gallery of Natural Science for the unique items. This file ensures compatibility between Legacy and Enhanced Landscapes. Adds new weapons to the Armory for display. This mod also has integrated support. Addresses a conflict between a Legacy field station and an imperial camp added by Helgen Reborn. Allows Holds - The City Overhaul to play nice with Legacy. Adds new armors to the Armory for display. Gives Frost's Identity Papers Legacy's BCS texture. This file ensures item compatibility. Adds new sounds to some items in Legacy. Ensures compatibility between Legacy and this mod. This file ensures compatibility with some ingestibles. Organises some quests in the journal. Compatibility for legacy and this overhaul. Puts a Mystic Condenser in the safehouse crafting room. Requires a new game on initial install. This patch adapts the Moon and Star Questline to remove duplicated relics and ties into Shattered Legacy. Allows you to create a replica of the ring even if you decide to give it to Brother Verulus with this mod. Adds displays in the Library for the treasure maps from this mod. Addresses an incompatibility with Legacy and LSC regarding Madras and the Advanced Crossbow knowledge. Patch for Legacy and Oblivion Artifacts Pack SE for displays in the museum. Provides navmesh and static support for the museum and Open Cities. This file ensures container compatibility between Legacy and Opulent Outfits. Patch for Legacy to address item location conflicts. This file ensures compatibility between Legacy items and Path of the Revenant. Patch to replace AHO books with Legacy versions that can be displayed in the museum. This file ensures items from this mod have the correct distilling keyword. This file ensures compatibility between Legacy and Reach Magic. This file ensures that Legacy's textures for the alcohol bottles are used. This file ensures compatibility between Legacy and Relics of Hyrule. Patch for Legacy and Royal Armory that adds displays to the Museum. Allows RS Children support for Legacy NPC, Henry. Adds a display for this relic in the Daedric Hall. Legacy compatibility for the Sands of Time overhaul. Ensures compatibility between Legacy and Skyrim Alchemy and Food Overhaul (SAFO). Adjusts legacy perks to work with SIC resources. Also adds new displays to the Hall of Lost Empires for Clutterbane and Nullsprocket. This file ensures The Soul Cairn Reaper has his Legacy added weapon. Container and Leveled List compatibility. This file ensures compatibility between Legacy and Skyrim Underground by removing duplicate artifacts. 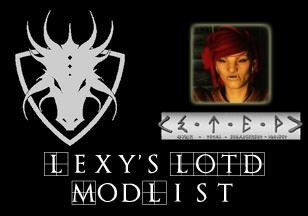 This file ensures Leveled List compatibility between Legacy and this mod. Patch for Legacy that adds Snazzy Furniture to the museum. Allows the Solitude Skyway mod to play nice with Legacy. USSEP fixes, Safehouse Sorting and Container list compatibility. Addresses duplicate relics and adds displays to the Hall of Lost Empires. Adds displays for the unique items in this mod. Ensures item compatibility and forwards relevant USSEP fixes. Adds support for The Notice Board with Legacy. Compatibility for Legacy and Undeath Remastered by replacing Undeath books with Legacy BCS versions that display in the museum. This file ensures Container and Leveled List compatibility. This patch provides gallery support in the Hall of Oddities for Vigilant. This file ensures compatibility between Legacy and WACCF. Legacy compatibility for the YASH overhaul.